Moving can be a quite stressful time if you do not take the proper steps in making your move an easy going one. You need to make sure that you have everything in line to create a hassle free move. There is no move that will go perfectly, but there are ways in which you can plan for a more hassle free move. You will be able to have great move as long as you take the necessary steps in order to keep everything in check. Make sure you don’t wait until the last minute, as this can add a lot of stress onto your situation. When you are in a rush, it might be time to bring in a moving company. They can help you to make your move turn from an overwhelming situation into a very manageable one. A moving company is a great asset to your move, but remember that you are going to have to pay top dollar for a great moving company. Even though using a moving company may seem like a big investment, there are times where you can negotiate with a moving company on a lower or more reasonable price for you. You might be asking how you go about negotiations with a moving company. Here in this article we will show you ways in which you can negotiate with your moving company for a fair price. Ask if they will cut you a deal if you help with unloading and loading the trucks. A big portion of the cost when it comes to paying for a moving company is related to the labor of loading and unloading the furniture and other belongings. Many moving companies will cut a deal with you if you are willing to help unload and load the trucks. In some special cases, you can get an even better deal when you agree upon doing all of the loading and unloading and just have the moving company do the driving. To get this kind of a deal, you are going to have to pitch the idea right. Many moving companies have set rates, but you are really able to strike this kind of a deal with them if you are willing to talk with them for a little bit. This will give you the ability to get to know the company more and pitch for a better deal. Talk about the prices of competitor moving companies. A lot of local companies are willing to match their local competitors prices. There are even times when those companies are willing to beat the prices of their competitors. Local companies are always searching for new customers, so they are very willing to beat the prices of their competitors, or at least match them. It is a much better idea to go with a locally owned company, as they do not have corporate regulations that they need to abide to. Local companies are usually started by out of the box thinkers, and they will be much more willing to think outside of the box when it comes to the price of your move. See if you can just rent a truck and moving supplies from a moving company. There are companies out there that will supply you with a truck and moving supplies to really save you some real money. This way you wont have to spend any money on the cost of employees coming out to help you. This will be more work on your end, but if you are looking to save some money, this is a great way to do it. You will be able to determine as well, how quickly or gradually you want your move to go. When you are on a tight budget this is a very good idea to look into. Try to talk to the owners and managers of the moving company instead of just a worker. When you are trying to negotiate a deal with a moving company, it is best to go right to the source. You are going to have the most luck by working with a manager, or even better yet just the owner. These are the people in the company that have the power to make bigger decisions like these. They are also, most of the times, more willing to think creatively about pricing. Workers have been trained on just the amount that is stated in the books, but owners and managers are much more willing to get the job at a more reasonable price, than to not get the job at all. Make sure that you aren’t being too unreasonable when you are talking about lower prices. Also, make sure that you aren’t being to pushy or rude. Don’t act entitled to anything, as this will greatly reduce your chances of getting a better deal. 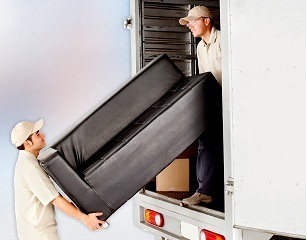 When you are moving, it is a great idea to go with a moving company. They will be able to help you with so many different ins and outs of the process. When you are looking to find a better price, make sure that you research around to different companies, learning the average pricing for a move in your area. Don’t give up when you are negotiating. Remember to hold out for what you know to be a true price. If you are reasonable with the moving companies, most of the time they are going to be reasonable with you about the price of your move. My name is Sam Simmons and I’ve owned and operated a moving company. RPT Installations in Utah, and these negotiating tips are true!